Activities include arts and craft vendors set up on board street during the day and through the evening events. There is a lighted Christmas parade at 6:00pm, following the lighting of the Christmas tree. The tree is lit to the sounds of carolers are 5:30pm. 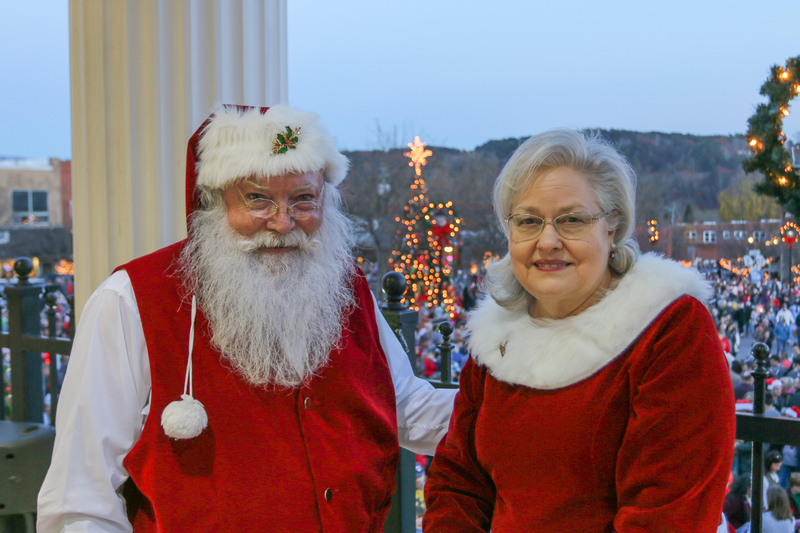 Bring the kids for pictures with Santa on the Square, sponsored by Orchard Church. From 7-9pm you can enjoy a Dance Party on the square at Abby's Ice Cream & Frozen Yogurt. Stroll through the many shops in Downtown Ellijay, or eat at one of the many restaurants. There will be holiday specials for everyone to enjoy.